Berenice Barrera was excellent help! Clean Facility! Very pleased with service and value great employee named Bernice helped me..
Impeccable service by Berenice and Excellent Facility! Thank You!! Berenice was very helpful and very knowledgeable! 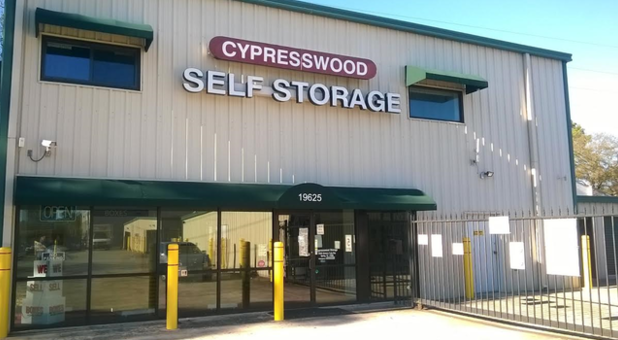 She fulfilled our needs and we walked out very happy and with a storage unit. Bernice helped us twice and she is very professional.. Excellent Service is what I received today! My day had started off really bad, but your employee made my day! I got a storage unit and a truck! Super nice Bernice patient eager to help. Outstanding Friendly Service.. She is everything throughout, clear.. Excellent customer service A++ Thank You so much for helping us out in this difficult time. Dustin and Bernice treated me like a personal friend from the moment I walked in the office to rent a 10 x 10 unit earlier this year. They went over and above to give truly great customer service and even gave me a generous grace period after hurricane evacuation and recovery threw my budget into chaos and I had to scramble to cover the month. Speaking of Hurricane Harvey, pretty much all of Cypresswood Drive suffered heavy flooding and I was sick to my stomach as I got in to check my cardboard boxes, because I knew I had put the one containing my computer on the floor of my unit. I opened my bay and HOLY SMOKES, NOT A DROP OF WATER came into the unit whatsoever. I keep looking at the street and the creek and for the life of me, I cannot figure out what miracle feat of lot placement and drainage engineering kept the entire lot dry and safe, but what a huge relief and one less thing to worry about. In fact, my storage space was safer from the flooding than most of our homes in the neighborhood, when Lake Conroe and Inverness Forest were drained off and produced water levels nobody has ever seen before. So imagine how I lost my cool and burst into grateful tears when I expected a storage disaster and found everything perfect inside my unit. I had tried to get in and move my boxes off the ground a couple of days before I evacuated, but the electronic gate was not working in the heavy rains. I don't hold it against them in a thousand year flood. I've used the gate in rain before and never had a problem, but rarely does it pour that kind of water on us for so many days in a row, and the bottom line is, my stuff stayed safe and dry. If someone from the parent corporation wants to recommend upgrading the gate so the electronics don't seize up in the rain, please understand that this one and only inconvenience is the one and only complaint I have about this entire facility. Your staff are genuinely caring, warm people who love getting to know the people of the surrounding neighborhoods. They treat us like true neighbors and every customer I've ever seen in the office is in a smiling, happy mood---including me. Do you know how rare it is to look forward to paying your storage bill? Crazy but true: customer service is both a talent or gift and a honed skill. Dustin and Bernice are assets, and deserve the highest praise. I would choose this experience over those big corporate chain facilities any day of the year. The most pleasant and courteous person I have dealt within this office. The lady at the front desk was very helpful! Keep up the great work! Very Clean. Customer Service from Berenice Barrera was amazing. Will definitely refer family and friends. Michael was wonderful, a great help. Very clean! Great customer service! Management very knowledgeable! Great location, hours and security. Camera's on all the time. Very knowledgeable management. Dustin is awesome and knows his business. Facility staff were very helpful. Wow. Amazingly professional and helpful. Pls why cant all facilities be just exactly like this one? The customer service I have received has been outstanding. I reserved my unit online, and was contacted almost immediately. Once I visited the facility it took very little time to complete the paperwork and be on my way. Michele runs a wonderful facility! The property is clean, the units are well-maintained, the area is accessible off the highway but safe, we felt the price for our climate-controlled unit was very reasonable, and our belongings were well-protected for over two years despite Texas' extreme weather conditions like heavy rains and heat waves. We highly recommend the climate-controlled units - our belongs were in the exact same (clean) condition we left them in! 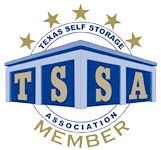 Michele is very professional, and she made our self-storage experience very pleasant! We appreciated her very much! Michelle is a jewel! She is extremely helpful, professional,thorough, and courteous! I can honestly say , I've never received this type of service from any of your competitors. Her attitude shows she truly cares about her clients...she is definitely an asset to your organization! This property is in the neighborhood where I work so it is easier for me to stop by on my way home. The office manager here is very knowledgeable of her job; she even gave me her cell phone number in case I need anything after hours since sometimes I have to work late. They don't have 24hr access but I just call Michele and she gives me a code to get in after 9 when I can't get there early enough. It is so convenient having her on the property. I have been there many times at night and I see her out on the property making sure everything is safe and no one is on the property that isn't suppose to be. This makes me feel better knowing she cares enough to do so. The property is always clean. She has two dogs that you can tell she loves very much. The little one makes for great extra security..haha. So the dog thinks! I will use them for as long as I work in that area for all my storage needs. Connie is rude and difficult to work with.